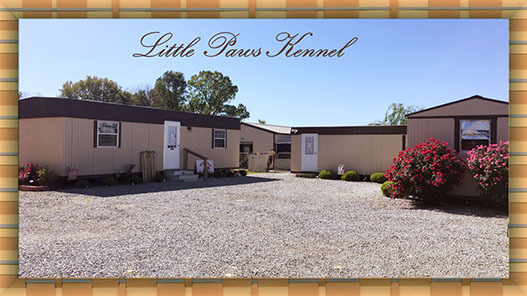 Here at little Paws we offer healthy quality dogs with various breeds to choose from. We take pride in our sires and dams as for each one has been hand picked and majority of them have been raised from a puppy here at our establishment. We do everything humanly possible to make sure that you get a happy, healthy, new family member. All of our adults are from proven healthy lines and we have been breeding for 19 years now. We have several Vet references locally, as well as in other states that have had the joy of meeting our little ones. We have lots of happy, past customers (extended family's) that have good things to say with their experience of owning one of our babies. We do everything in our power to make sure that your baby will live a long healthy life, free of hereditary problems, however sometimes just as people get sick, so do dogs. If for any reason your puppy were to ever come down with a problem, we would want to know immediately so that we would make sure to never breed the same parents again and to be there to help in any way that we could. We guarantee your puppy to check out in perfect health at your puppy well visit, no fleas, no worms, just one healthy, happy, Quality puppy. All of our babies do come with a one year hereditary health guarantee, first shots, de-worming and Limited Registry papers. Out of concern for the welfare and happiness of our puppies, we are careful about the homes into which they are placed. We only place puppies in secure home atmospheres. Puppy owners must have a secure loving home and be committed to the rearing of their puppy with regular vet checks. We like to stay in touch with our new "extended families” and ask that they report back to us often and send photos. We sincerely hope that all of our puppy placements are permanent, however in the event that the new owners are unable to keep their puppy for any reason and cannot place them in a loving home the puppy should be returned to our kennel for new home puppy placement, this keeps our babies out of shelters. Our babies are loved from birth, delivered hand in paw and we like to keep it that way. We strive to better the breeds that we offer in order to produce, beautiful, healthy , puppies from our hearts to yours. Each breed of dog is prone to hereditary health problems, we breed healthy bloodlines and do our very best to try to make sure this never happens. We do offer a one year hereditary health exchange Policy against any life threatening problem. We breed our adults with love until the age of 5 years old. At the time of retiring our adults from our breeding program, we place them in loving pet homes. We have been breeding "Our" lines for over 19 years now. 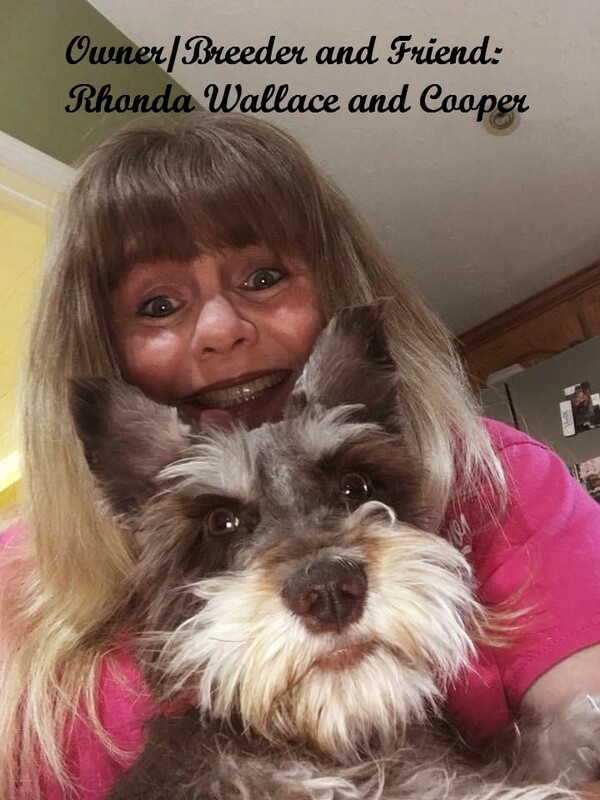 Our lines are proven lines, meaning: we have removed any dogs that would be prone to health, problems, skin or coat problems, temperament problems or ugly confirmation. 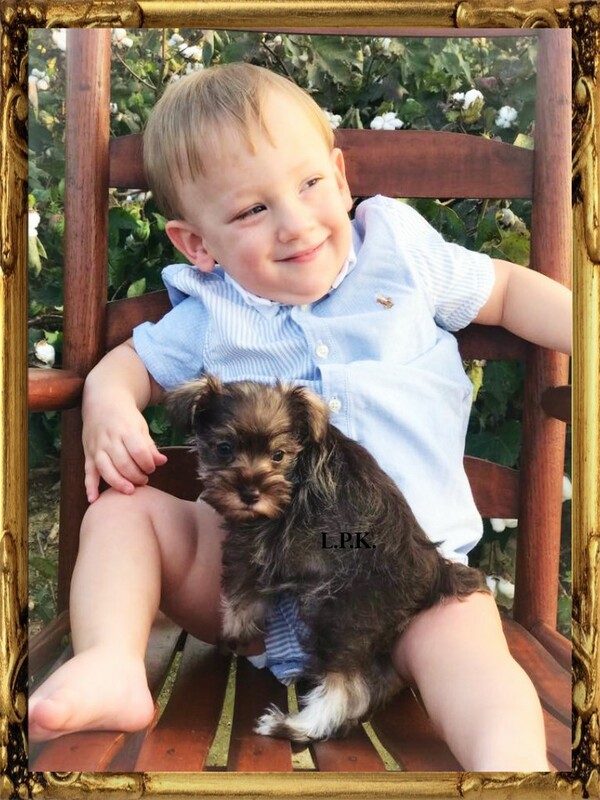 Some health problems are unforseen in bloodlines that may show up from generations back and we ask that you alert us quickly if any of our pups experience any kind of hereditary problem. No One knows the disappointment of spending thousands of dollars for that perfect dog for your breeding program to find out he she is not so perfect and then the heartache of removing him/her from your breeding program along with all of your hopes and dreams you had in mind for him/her. We do our very best to Offer to you, a happy, healthy, puppy, with a wonderful temperament and a beautiful confirmation. A Breeder struggles with imperfection and does her best to perfect her line but knows that perfection is God's Job. Please make sure that you are ready for a puppy, as this is a life time commitment that requires lots of care, vet bills, and we want the best homes possible for our puppies. 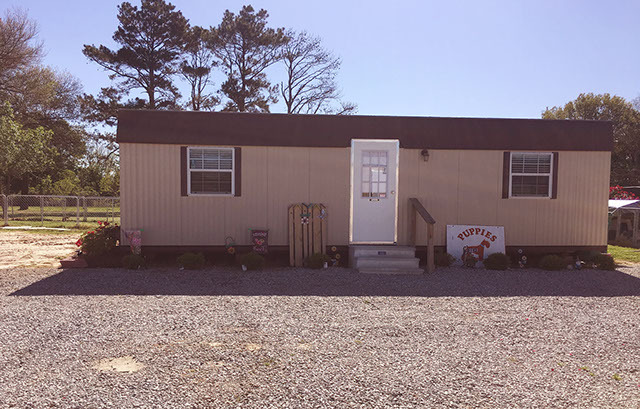 This is where we house majority of our adult dogs, each one of our precious little guys and gals have there own special place here at little paws kennel, each run inside this building is 10 foot wide by 10 foot in length by 6 foot tall. Each one of the kennels have inside and outside runs as needed on those hot and cold days. 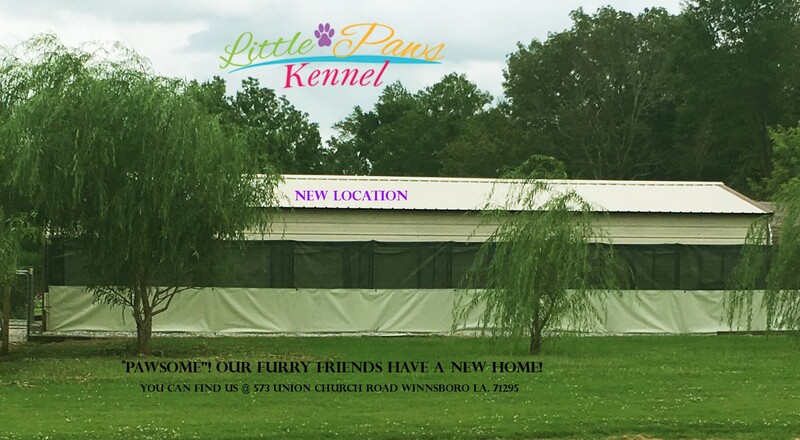 As recommended by State vet and our local Vet, our Kennel is not completely enclosed, it's sides are kept open for ventilation for fresh air for our babies, but closed as needed due to weather. All of our babies are on a gravel run, which allows urine to go under the gravel and not on our babies and each kennel is washed daily to keep the urine and feces washed away for a safe, clean, environment. Housing Adult dogs and puppies on dirt is unsafe for any breeding program due to the fact, dirt can harbor Parvovirus, Distemper, fungus, mites, fleas, lice and much more. As you may know fleas cause tape worms in dogs and puppies, our Kennel is a flea free environment. We love our babies and take excellent care of them!!!! Above is Our nursery it's an environmental controlled area which we maintain a temperature of 73 degrees year around to ensure the health of our little ones . This environment is bleached and deodorized every day. We administer preventive medications here, and we give first shots and de-wormings with every puppy . As you can see, we offer a nice clean environment for each of our little guys and girls and they are loved and well taken care of. Constant companionship, love and a radio to stimulate our babies and give them a since of home. All of our babies are tucked in each night with a full tummy, a good night hug in a loving home environment. The expectant mothers are housed in a heated , cooled whelping room and monitored around the clock! This is our Breeding Facility/Office where business in conducted on a daily basis. We call it the strategy room where our hopes and dreams materialize. The office is where we see so many smiles when we walk into the room with one of our little babies ready to go home. There are tons of tears that have covered this floor as well more of joy than sorrow if we might add. Hopefully you might have the privilege of one day visiting our facilities and become acquainted more than just a picture of a room or a dog run but of a thrill of owning one of our precious little babies for your self, After all we look at it in this way, those little guys and gals we sell, will always be ours we just loan them to you for life. So feel free to browse around our site and if you see something you like give us a call or a drop us a line via e-mail and we will be sure to get back to you.